CHICAGO — A judge on Thursday blocked a set of laws pushed through late last year by Republican legislators in Wisconsin that aimed to weaken the power of the state’s newly elected Democratic governor and attorney general, setting off a bitter fight in the state. The judge, Richard Niess of Dane County Circuit Court, issued a temporary injunction on the laws, which included curbing the authority of the incoming governor, Tony Evers, in the rule-making process and limiting the power of Josh Kaul, the new attorney general. The judge said that the Republican lawmakers’ last-minute meeting — a December session just after the election but before the new Democrats could be sworn in — did not meet the requirements of Wisconsin law. And so the measures that emerged from it, he said, “cannot stand.” The case had been brought to court by several individuals and groups, including the League of Women Voters, Disability Rights Wisconsin and Black Leaders Organizing for Communities. Efforts last year by lawmakers in Wisconsin and in other states, including Michigan, to weaken the power of new leaders who won elections in November set off a flurry of angry protests and, in Wisconsin, several lawsuits. The efforts also added to a tense situation emerging in Madison, the Wisconsin state capital, where government is now split after eight years of complete Republican control under Gov. Scott Walker. Republicans still firmly dominate the State Legislature; Mr. Evers, Mr. Kaul, and other Democrats have taken top state offices. 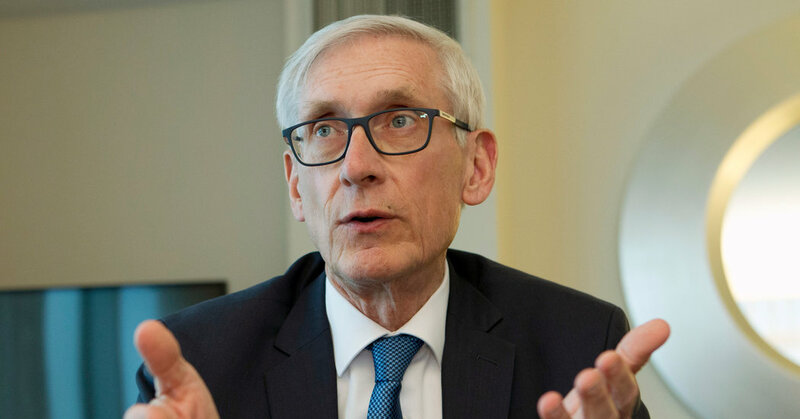 On Thursday, Mr. Evers directed Mr. Kaul to withdraw Wisconsin from a multistate lawsuit challenging the Affordable Care Act — a suit that the state had joined under the previous, Republican administration. Until Thursday, Mr. Kaul had been blocked from withdrawing Wisconsin from the suit; one of the provisions of the laws passed by the Republicans in December prevented the Democrats from removing the state from the case, as they had promised to do during their campaigns. Mr. Kaul filed a motion seeking the withdrawal on Thursday, a spokeswoman for Mr. Evers said. Republican leaders in the State Legislature swiftly pledged to appeal Judge Niess’s ruling, questioning what it meant for other unusual legislative sessions that had been called in Wisconsin over the decades. “Today’s ruling only creates chaos and will surely raise questions about items passed during previous extraordinary sessions, including stronger laws against child sexual predators and drunk drivers,” Robin Vos, the Republican speaker, and Scott Fitzgerald, the Republicans’ Senate majority leader, said in a joint statement. Is America Taking Hostages Over Trade Negotiations With China?